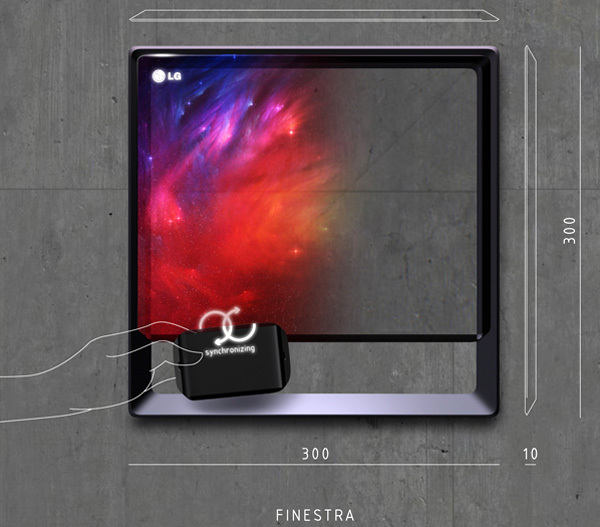 Overview: The LG Finestra is a display-charging cradle-Smartphone concept. What we have here is a display with a charging cradle and the ability to sync with the Smartphone so that you can access your social sites at whim. 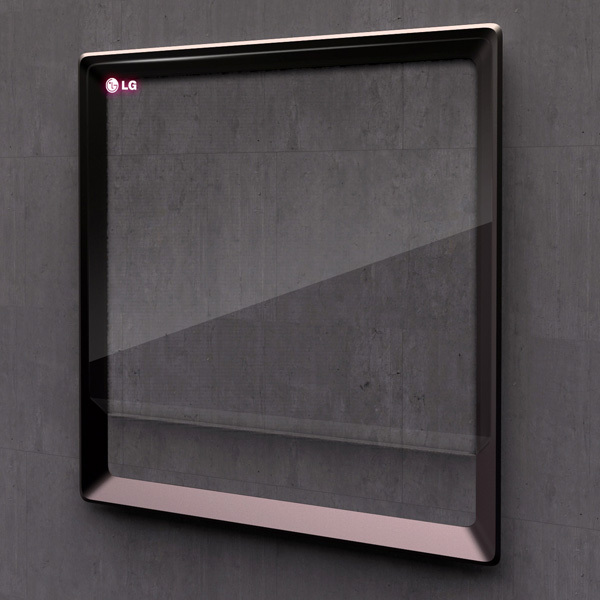 The advantage is that you can manipulate the display to showcase pictures as a window display and enjoy different sceneries. The phone beams out a virtual keyboard for easy navigation.